Most people who have been to a yoga class are familiar with chanting ‘aum’ at the beginning and at the end of the class. It carries a very grounding quality to the sound of it. Yoga teachers will start and/or end their class chanting AUM with their students. This sound helps ground energy before they begin an asana (posture) class and then again at the end of class before students head out into the busy-ness of the world and their personal lives. AUM is the original sound of creation and therefore the most sacred sound. It is in everything that exists. It is the vibrational undercurrent that holds everything together, from the heavens to the earth and beyond. And while the vibration of AUM is in all of us, it belongs to none of us. No one can own an AUM, or owns their AUM (for that matter). It is a part of the collective, and from the collective and this sound vibration, the world manifested. 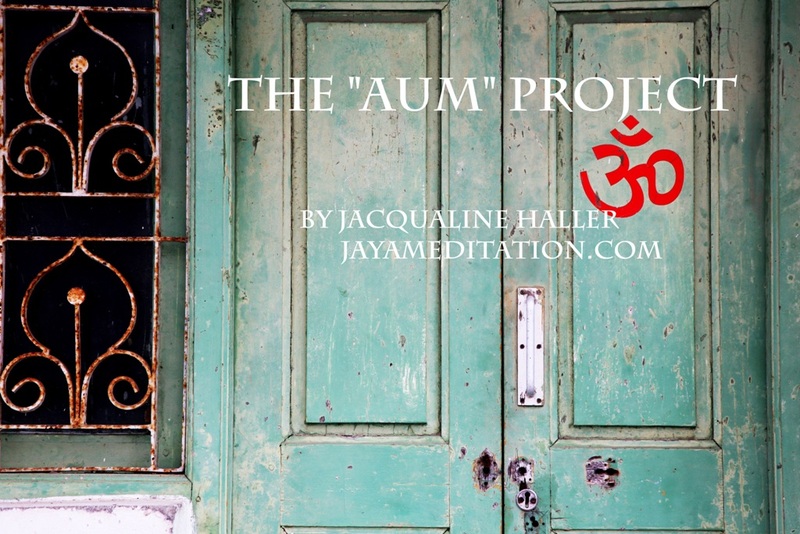 So, what is The “AUM” project? I have been collecting AUM’s from recognizable names in the industry who have a meditation practice and understand, appreciate and have witnessed the benefits in their lives. Each of these AUM’s are dedicated to one of my meditation CD’s to draw awareness around the importance of a mindful practice in life. The AUM Project is meant to highlight that people from all over the world are meditating or have some sort of spiritual practice, regardless of the form in comes in. And just when everyone thinks nobody is meditating and it’s the least ‘cool’ thing to or might be perceived as ‘boring, the reality is that most people are already meditating in some way or another (whether they realize it or not). After all, the mind naturally needs a break from the relentless chatter and takes it whether you sit down to do it as a practice, or not. The interesting part of this is that those considered well-known or famous who are living their truth, their path, their darma (what you are meant to do in life), have this practice. A consistent meditation practice brings so many benefits to life, sharing the importance of it, is what The “AUM” Project is all about. So far, I have produced 6 Guided Meditation CD’s (ITunes search: Jacqualine Haller). The first 3 were the amazing beginnings. Many more AUM contributions are on their way, and I look forward to growing the project even further. These AUM’s will be added to the next CD’s, and their contributions will continue to highlight the importance of meditation, the benefits of it and show the world that even well-known artists, politicians, musicians, and actors use this practice while they are working to achieve their life purpose. It is available to all of us because it is simply a tool to reconnect with who we truly are inside; the magnificent manifestor’s and creators, each of us with a divine purpose in life.